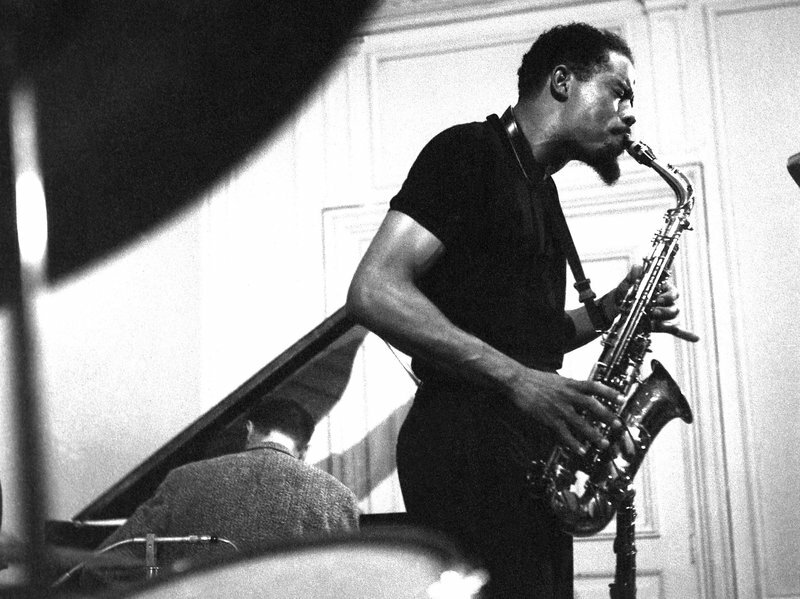 Eric Dolphy in Copenhagen, 1961. Photo courtesy JP Jazz Archive/Redferns. In the midnineties, I was a jazz head. I was a poet and I was a jazz head. I loved to read and I loved listening to music. I collected vinyl but also CDs. I shopped at Amoeba Records on Haight Street in San Francisco and brought home records by the bandleaders Eric Dolphy, Charles Mingus, Max Roach, Ben Webster, Sonny Rollins, my favorite at the time, and others. And I read the covers of these albums as if they were books, lured in by the various frames commentators employed to situate a given recording, like Leonard Feather opening his notes for Cannonball Adderley’s Somethin’ Else with “WHAT manner of album is this?” At the same time, as a graduate student in poetics, I was deeply immersed in the works of Henry James, Nathaniel Mackey, and Leslie Scalapino, and, although I didn’t know this then, or knew it only slightly, converging in the field between these producers and their various disciplines was a way of thinking about “the invisible” that would shape my life in music and language and art for the next two decades. As I think of it now, the invisible refers to all these inner energies, maps, and syntaxes I’m trying to make present in my drawings and in the unfolding of my sentences, but, in 1995, the idea of it had only just landed in me, and I had little language around it. I felt it most present when I witnessed forms crossing into other forms: sound into thought (in the case of jazz) and poetry into prose (in the case of the books I was reading). David Moore of Bing & Ruth. New York has felt like a second home since my parents first took me there as a teen in the early eighties. I grew up in rural coastal North Carolina, but the Mets became my team in 1979 when we got cable TV, and WOR carried 162 Mets games. On that first trip, I made my way alone to Paragon Sporting Goods in Union Square to buy Mizuno baseball cleats. Over the past twenty years, I’ve made more than 150 trips to the city while researching the photographer W. Eugene Smith. I now know a lot about arcane matters, like the history of Manhattan’s wholesale flower market, Long John Nebel’s overnight radio talk show, and underground angles on the midcentury jazz and drug scenes in places like Staten Island. The city feels further away from me today, and it’s literally true. I moved earlier this year with my family to Bloomington, Indiana. Our house in Durham was 480 miles from Grand Central; from Bloomington, it’s 760. For nearly three decades I’ve listened to late-night sports radio on fifty-thousand-watt WFAN through a transistor beside my bed. Now I have to use a stream, which doesn’t feel the same; the conversation on WFAN isn’t quite the vernacular it used to be either. Those who have undergone weeks-long silent-meditation retreats can attest to the power of durational focus. Stay with one thing long enough and miracles might occur. 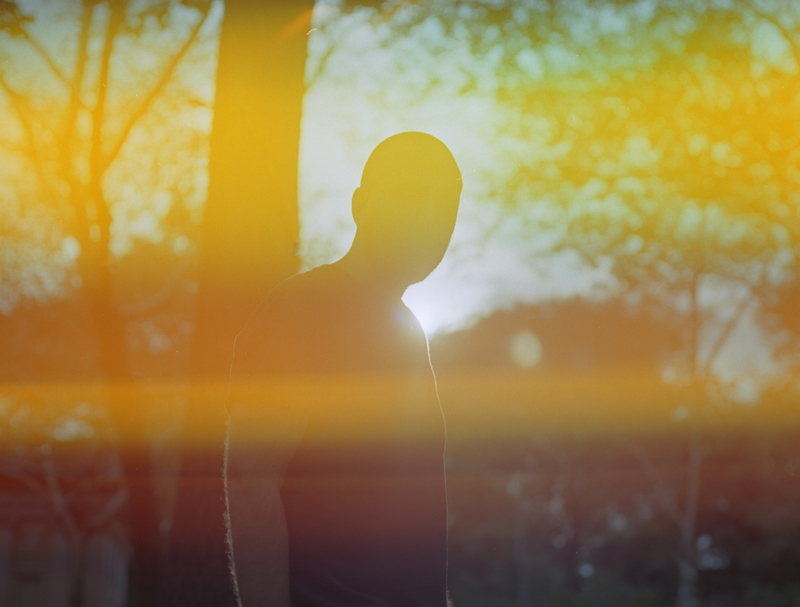 In mid-September, at East London’s Café Oto, a venue known for avant-garde performances, the musician Charles Hayward presented “30 Minute Snare Drum Roll.” The piece could not be more functional or self-explanatory in its title. What happened, however, in those eighteen thousand seconds of continuous drumming was the opposite of readily explicable. 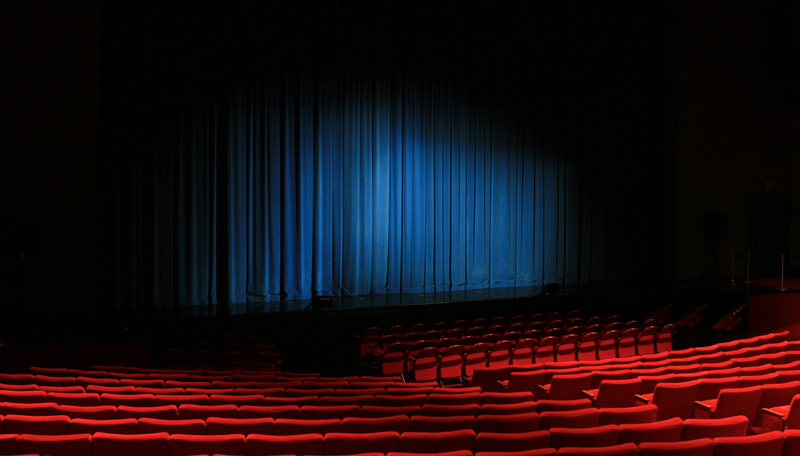 A drumroll is a sonic metonym for anticipation, so much so that we use it verbally more often than we hear it literally. The phrase drumroll, please is an ironizing indication that what follows may fall short of spectacular but that it should nonetheless be eagerly awaited and greeted. Hayward’s feat subverted this notion. The preliminary, introductory flourish became the event itself. At Café Oto, Hayward stood hunched over a single, spotlit drum as the seated audience was held rapt by the speed and precision and, most of all, duration of his playing. In honor of the centennial of Thelonious Monk’s birth, the jazz pianist and composer Fred Hersch shares a few thoughts on one of his heroes. Thelonious Monk has been quoted as saying, “A genius is one who is most like himself.” By that standard, Monk was an undisputed genius. He was among the inner circle of jazz musicians who pioneered bebop, along with the alto-sax master Charlie Parker, the trumpeter Dizzy Gillespie, the pianist Bud Powell, and others. They played together at Minton’s Playhouse in Harlem in the early 1940s, and Monk emerged from that scene to create some of the most distinctive and enduring music in all of jazz. 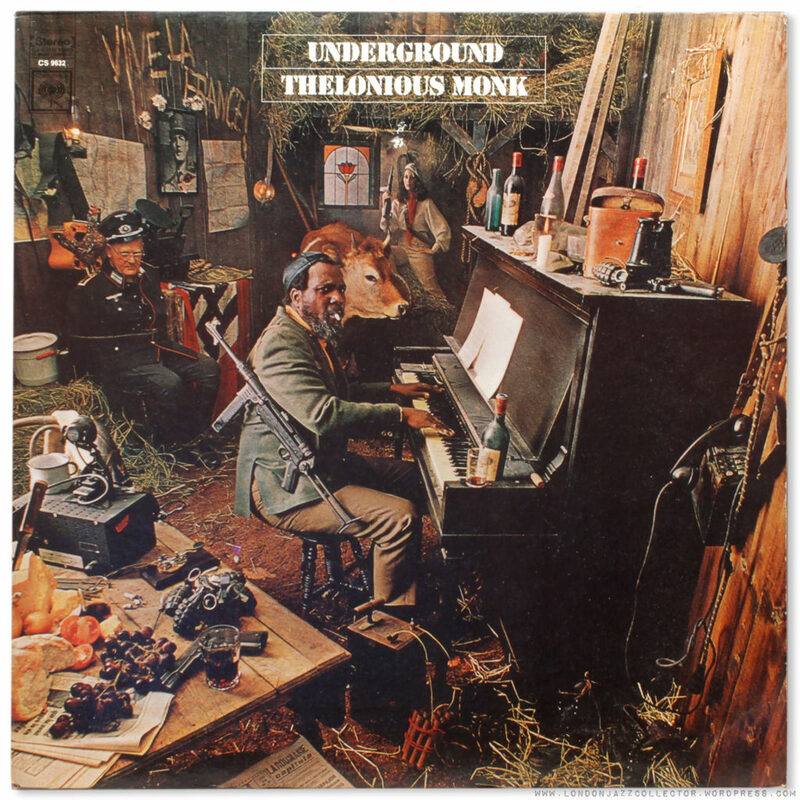 Thelonious Monk (1917–82) has fascinated me for more than forty years. As a budding jazz pianist on the local jazz scene in Cincinnati, Ohio, in the early 1970s, I was hipped to him by some older jazz musicians, and intrigued by him in every way. As a jazz pianist and composer myself, I have performed something written by him in almost every concert or club performance of mine in the last twenty years. Monk’s works, some of them cryptic and difficult and others just plain fun, are designed as springboards for improvisation. Everything he wrote fits in a book of around a hundred pages—compare that to the volumes of work by Mozart, Bach or Beethoven! Yet his canonic compositions, which are subjected to reimaginings in almost every music style, still retain their essential “Monkishness.” His tightly constructed themes and challenging harmonic progressions take years to master. 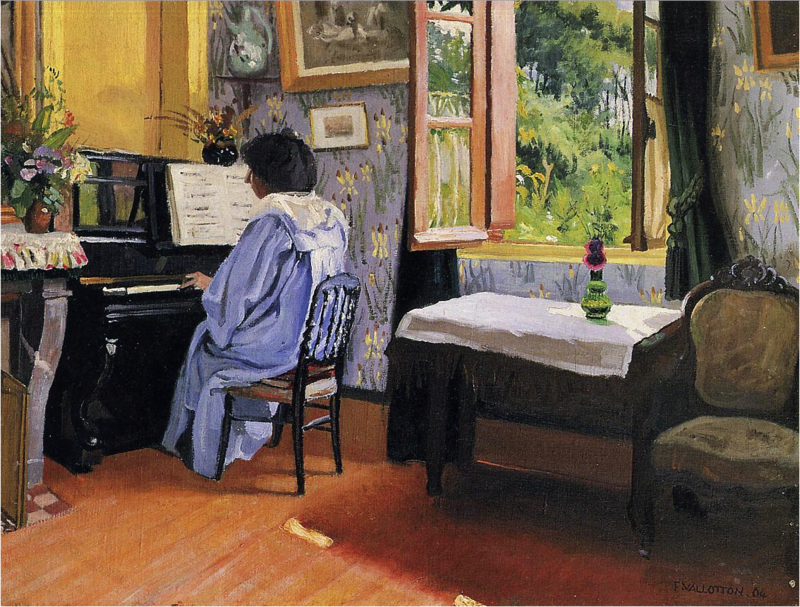 Félix Vallotton, Lady at the Piano, 1904. Courtesy the Hermitage Museum. Most of us have, at one time or another, put something valuable in a supposedly safe place and then forgotten where we left it. Car keys, wallets, eyeglasses, cell phones—whether through distraction or neglect or diabolical misfortune, things disappear. And it’s not just household items. Over the centuries, more than a few of our most precious cultural artifacts have been lost in similar ways. This includes historically significant music manuscripts, a spate of which have turned up in recent years, to the delight of musicologists and listeners alike. Which is to say that sometimes, through an unpredictable combination of knowledge, awareness, sleuthing, and occasional pure luck, lost treasures are, like paradise, regained.